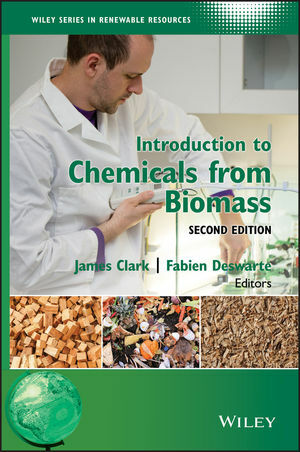 Introduction to Chemicals from Biomass, Second Edition presents an overview of the use of biorenewable resources in the 21st century for the manufacture of chemical products, materials and energy. The book demonstrates that biomass is essentially a rich mixture of chemicals and materials and, as such, has a tremendous potential as feedstock for making a wide range of chemicals and materials with applications in industries from pharmaceuticals to furniture. Completely revised and updated to reflect recent developments, this new edition begins with an introduction to the biorefinery concept, followed by chapters addressing the various types of available biomass feedstocks, including waste, and the different pre-treatment and processing technologies being developed to turn these feedstocks into platform chemicals, polymers, materials and energy. The book concludes with a discussion on the policies and strategies being put in place for delivering the so-called Bioeconomy. Introduction to Chemicals from Biomass is a valuable resource for academics, industrial scientists and policy-makers working in the areas of industrial biotechnology, biorenewables, chemical engineering, fine and bulk chemical production, agriculture technologies, plant science, and energy and power generation. We need to reduce our dependence on fossil resources and increasingly derive all the chemicals we take for granted and use in our daily life from biomass – and we must make sure that we do this using green chemistry and sustainable technologies!